Another extremely creative ILM crew item from Attack of the Clones, this T shirt features the same retro Star Wars logos used on T Shirts in 1977 and as an added bonus has the glittery decals across the Star Wars logo. 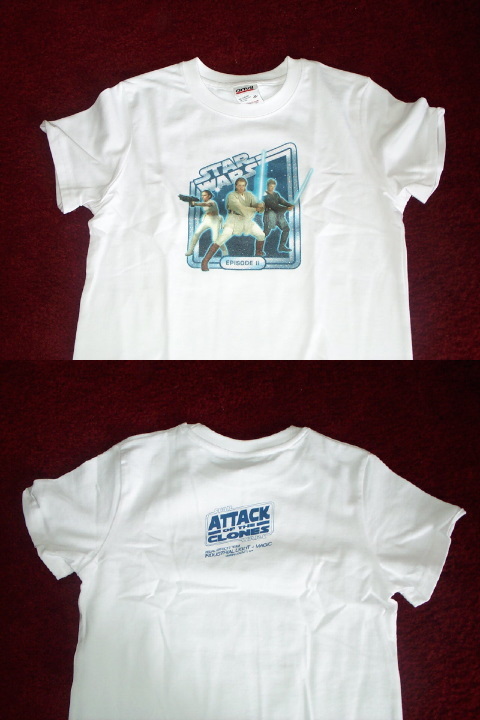 The back of the shirt features Attack of the Clones in a retro Empire Strikes Back design. The ladies version of the shirt does not have the trim like the adult male variety and is cut differently.